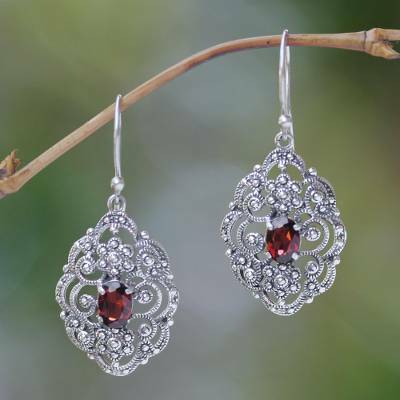 Fair Trade Sterling Silver and Garnet Dangle Earrings, "Kuta Princess"
Sterling silver embraces faceted gems of deep red beauty. From Putu Putri, these regal earrings showcase garnet, the stone of passion and the birthstone of January. The gems total 2 sparkling carats.